Being Nepali, and away from home is the most painful position at present. Helplessly, we are witnessing the death of our people; the ruins of those fallen monuments; and the trauma of our family. We feel powerless, nervous, besieged and dejected. 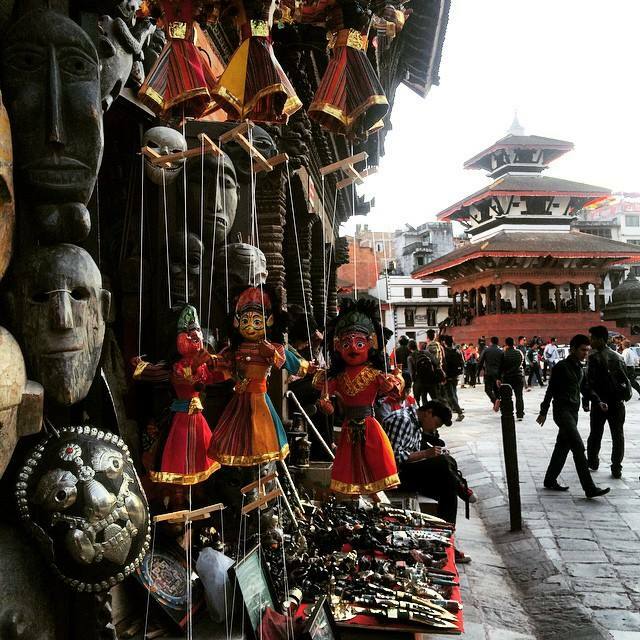 For most of us, as much as we want to be in Nepal, it is not easy to do so. We have made peace with ourselves that we cannot be in Nepal right now; yet, it is very difficult to remain sane when we imagine the ordeal that our loved ones are going through right now. My Buwa (dad) is no more the same young and energetic man that he once used to be. In our last big earthquake in 1989, he was posted in a village in eastern Nepal – the place that was severely hit. As he was running for his life, he stumbled. He still had a presence of mind to get up and run. As he came out, the house collapsed, trapping people behind him. Today he is 65, and a diabetic patient. He would not be able to do the same. Mamu (mom) gets severe body pain and fatigue whenever she feels cold. Even in summer, she sleeps under a thick blanket. She just cannot handle the cold. Today, she is sleeping outside her house, dealing with cold wind and rain. It must be giving her body pain, exhaustion and severe headache right now. And our houses, what happened to them? We have seen pictures of the severe cracks in newly built buildings on the Internet. My house is more than 25 years old. Has it managed to survive such a jolt? Does it have cracks? …and so on! There are many such questions and thoughts that are continuously haunting us right now. But there is nothing we can do for our loved ones except speaking to them (after multiple attempts to connect); reminding them to take care; and thinking and praying for our families’ well-being. 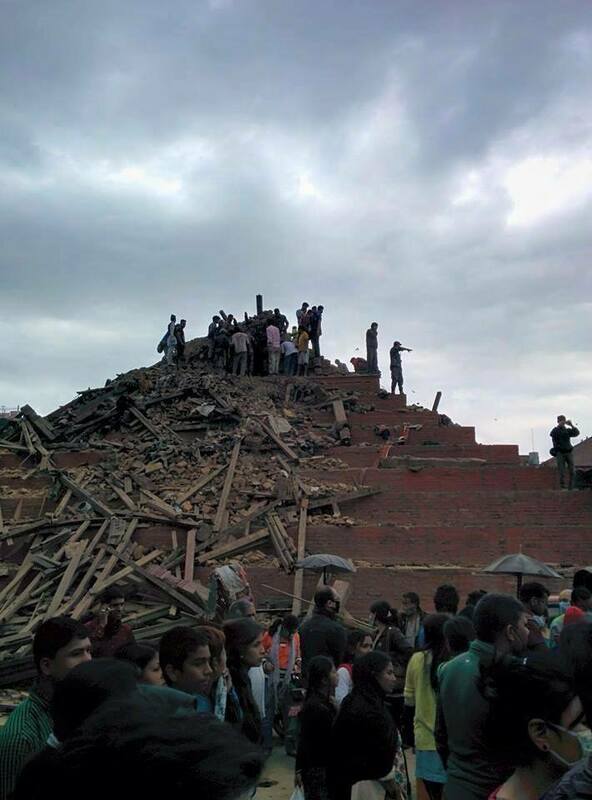 And of course, those images of the ruins of Dharahara Tower and other historic monuments hurt us the most. 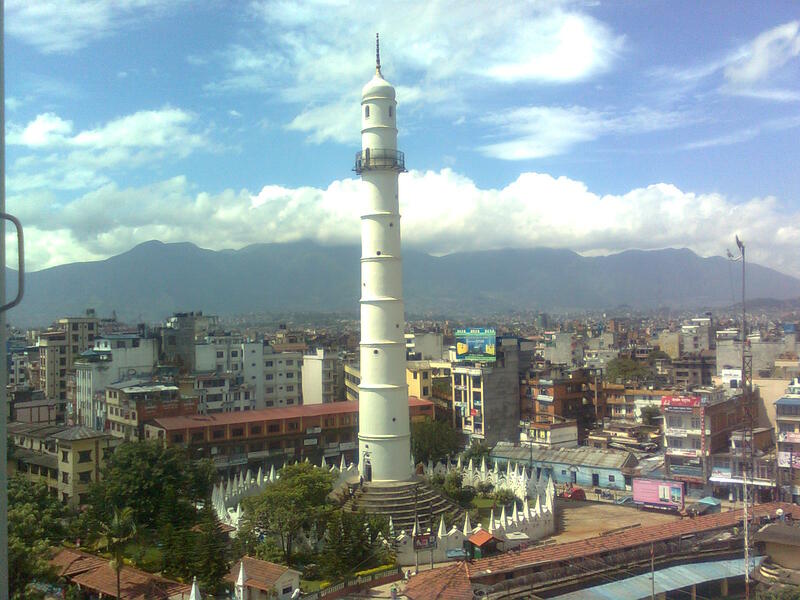 Dharahara is what the Statue of Liberty is for New York; Eiffel Tower for Paris; Opera House for Sydney; and London Bridge for London. Standing tall in the middle of the city, the tower once could be seen from every corner of the valley. It is tough to imagine Kathmandu without the Tower, and we feel a sense of huge loss- as if we have lost a family member- when we see the picture of the fallen Tower. Seeing the pictures of those fallen Durbars (palaces) breaks our heart. We have spent so many hours spending our evenings sitting on the stairs; enjoying Chana; feeding pigeons; and chatting with friends. Those historic monuments highlighted the unique character of the valley, and its citizens. Only last month, I visited each of those UNESCO sites along with Mamu. We took multiple pictures (photos below), posted on my Instagram and Facebook bragging about the beauty of the valley. I was in an unofficial mission to promote “Nepal tourism” and encouraging all my friends and colleagues to visit Kathmandu. Alas, all in ruins now. 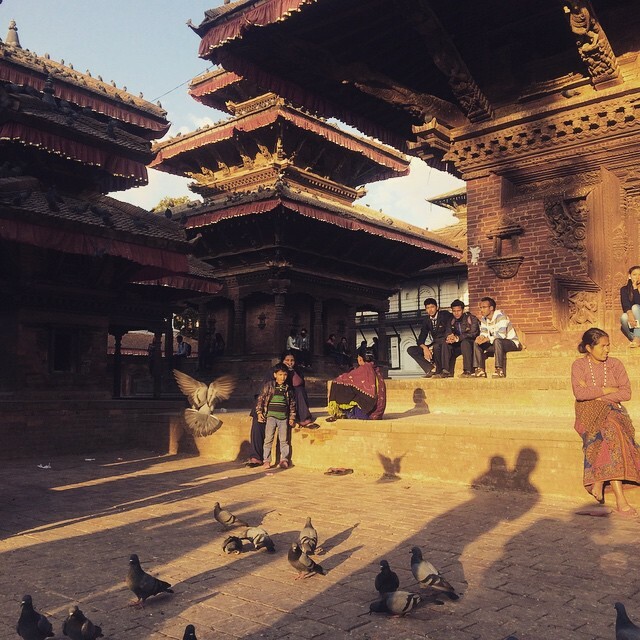 We will possibly build new buildings and towers, but the essence of Kathmandu is lost with these unique temples. We all feel a big part of our identity has been snatched away with the fall of those monuments. What will our next generation see; and what will they learn about our roots? 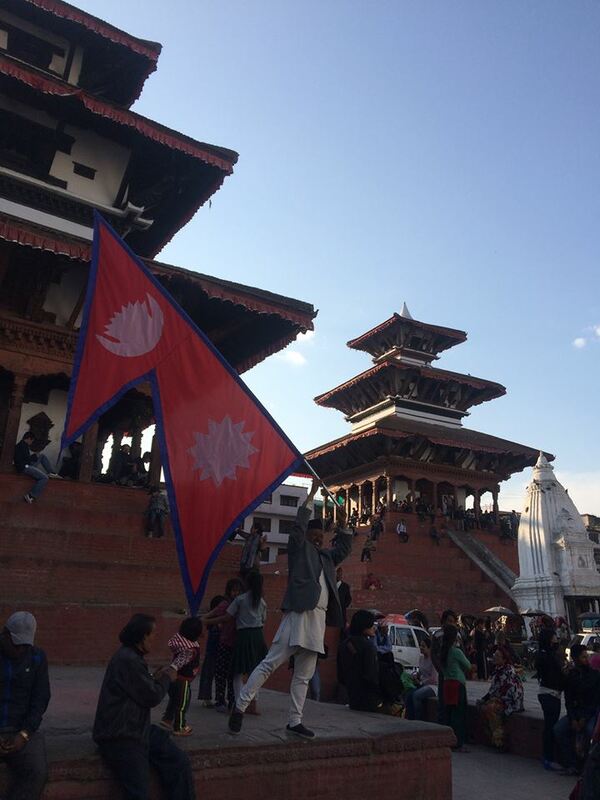 With all these emotions in our mind, we are thinking about Nepal, and realizing how important our country is for us. We are donating, praying and thinking of volunteering in whatever way we can; yet, not being able to be in the country when our motherland is struggling to come to terms with the death and devastation left by the earthquake has left most of us guilty, devastated, heartbroken, helpless and in severe pain. I hope we, the people of Nepal, can come together as one, and get through this ordeal. And we promise, our beloved Nepal, we will be back soon to serve you. Wonderful and well articulated piece. While reading, i could feel the pain in your heart. Please keep Hope during this trying times, everything will be fine soon.My prayers with you and your family and all of Nepal. I feel your pain because what you have written is exactly what I have been feeling since the time of this mishap. I am just waiting for the day when I can go back home and do something to serve my country. The sense of guilt that I am going through is unfathomable. In the meantime let just all pray for the unity and a better future of Nepal. I feel each and every word of you bro.. I’m going through the same situation and going hard in my mind how the country gona will back up with after such massive distruction.. God help Nepal and all the neplise.. The true Nepal will be reflected in the resilience and compassion of its survivors more than in the destroyed structures. And just by writing these words, you have already done something to help: you have created awareness for non~Nepalese to join in the emotion and action needed. My heart and pocketbook are with you. you have captured my emotions so well in every word. 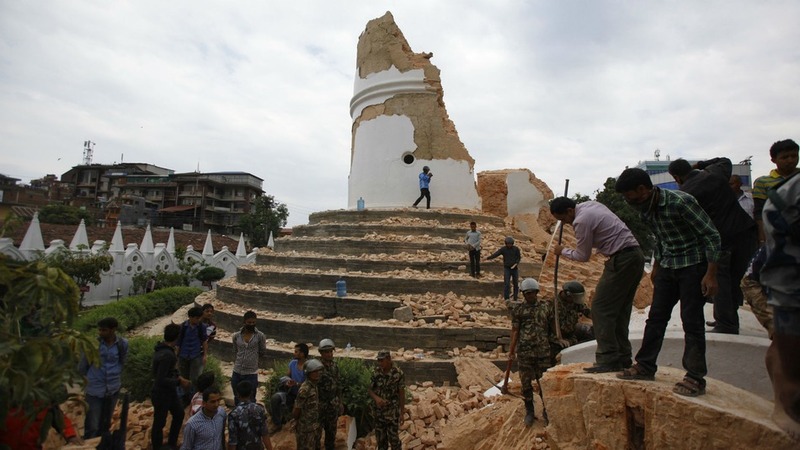 we will rebuild our nepal. brick by brick. we will not let the earthquake win, we will rise again . I know we will. We feel for you and your people. May the Good Lord give you the fortitude to overcome your loss and grief; later provide you with the energy and strength to build your lives back. I feel very sorry to my motherland Nepal for being away and helpless when she is in pain! Could not do anything except praying and thinking of people! Forgive us Ama ! These places I never got to visit are all gone now, along with the lives of the thousands buried under them. I too am helpless and anxious, away from home and my loved ones. I hope your family is fine. May Nepal get back on her feet as soon as possible. I think it is the same feeling of many nepalese people residing abroad. We can’t be there for our lives ones to comfort, calm or support them. But your words are really comforting itself and we all are thankful for all those words. Beautiful piece, great reflection. I have a huge piece of my heart there, too. Spent two years there from 2000-2002, many fond memories. Pray for Nepal, indeed. Your the first people I thought of when I heard of this disaster. Hope your fily and friends are safe. It is not only for Nepalese, there are lot of Indians /foreigner like me who love the country as much as u do.In this difficult time we are they standing next to you. Supporting for the cause and help Nepal raise again.You are not alone, we are there with you. I’m pretty sure “we” won’t be “back soon to serve you”. I know you must be feeling bad. But the self-righteous last line is just empty rhetoric. It would be better if you’d replaced the “we” with an “I”, probably more realistic. Diptic KC u spoke for us all, thank u, thank u so much. Yes traumatized n helpless that is how all of us feel but I love u’re closing line, “we will b back to serve”, n we will. May the gods from above watch over our Nepal n our people. Deepti ji very true n we all overseas pple r on the same boat..everyone stay strong n provide any means of support to nepalese citizens who r facing thos horrible situation. It indeed is a tragic event and a shocking news. Many energetic and educated professionals are abroad pursuing their dreams and trying desperately to help their family and country during this time of need and feeling helpless. Whatever you’ve mentioned is a choice. People choose where they are. I had a great career in the USA like many other Nepali brothers and sisters. However, 14 months ago I made a choice to give up everything and return to Nepal to be with my aging parents and to contribute to Nepal. Now I’m beside my sick mother who had pneumonia few days ago, and keeping her safe during the earthquake. You too can make a choice. A choice to return to Nepal and be with your family and country. You can make your own opportunities in your life. Think again of what you want. This is a gentle request to Nepalese abroad to return to Nepal and make a difference. So true.. I wish people thought like you. Its big time people came back and changed this country! I am sitting in my computer lab, reading this and crying like an idiot without a care about the people around me… Touched my heart, exactly what I feel…. Baba, every word you stated is so true, touching and heart wrenching. Everytime I watch the news, people crying and terrified, houses fallen, heritage lost, I just break down.